Getting a car on jack stands is terrifying! Update. Wheel liners are out and lower facia is off. Had a bit of moment at in my Boss 302 at Barber Motorsports Park this weekend. 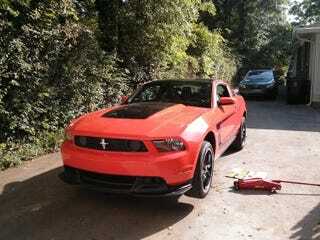 I&apos;m at Barber Motorsports Park doing a track day in the Boss.